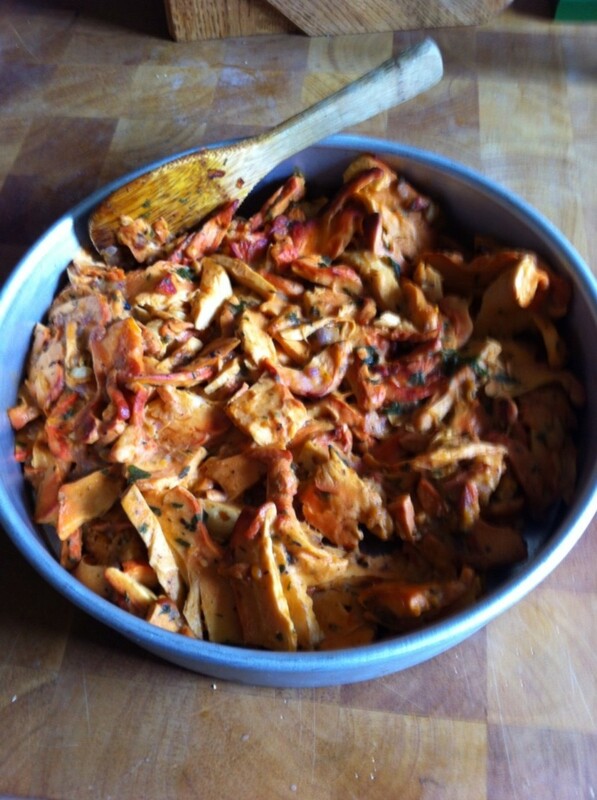 Edible Orange Mushrooms, Taste Like Chicken! The old joke that everything "tastes like chicken" is well worn. The simple phrase has been used millions of times to get someone to try something that either they didn't think they liked or maybe as a joke. I won't try to pull your leg today. Chicken of the wood mushroom doesn't really taste like chicken but is a delicious and meaty mushroom. Also known as "sulphur shelf" this mushroom has been a staple of Appalachian kitchens for centuries. 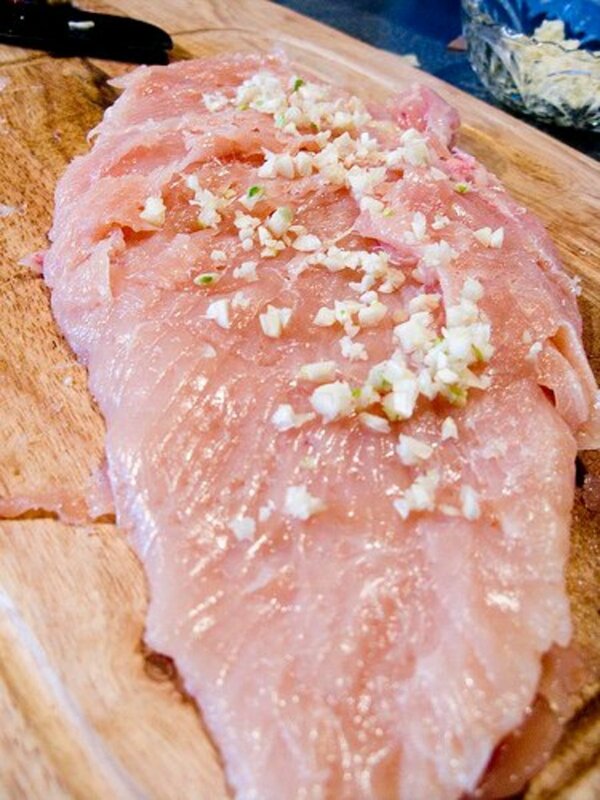 Grilled, sauteed, stewed and even ground into burger chicken of the wood is a great find and one you will be happy to eat. 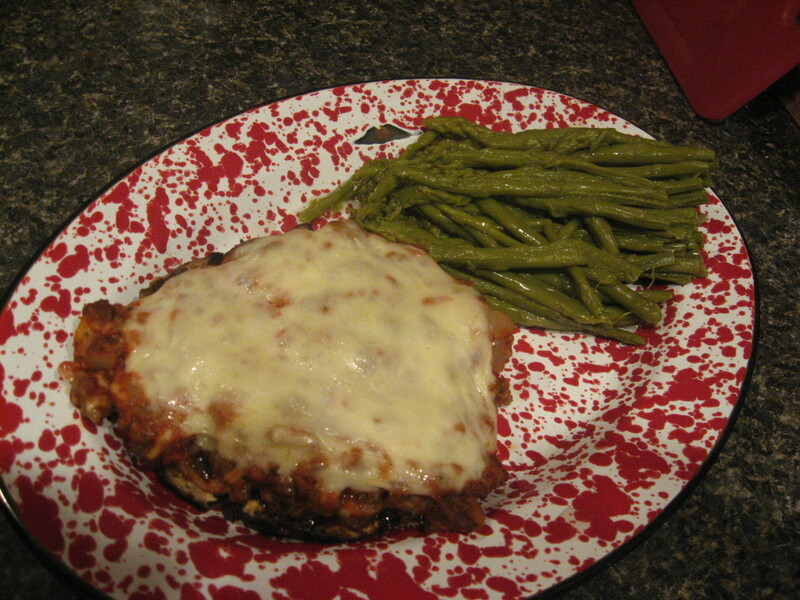 Chicken of the Wood is an easily recognizable mushroom. Once you find your first one you will always be able to recognize it. The most distinguishing feature is the color. 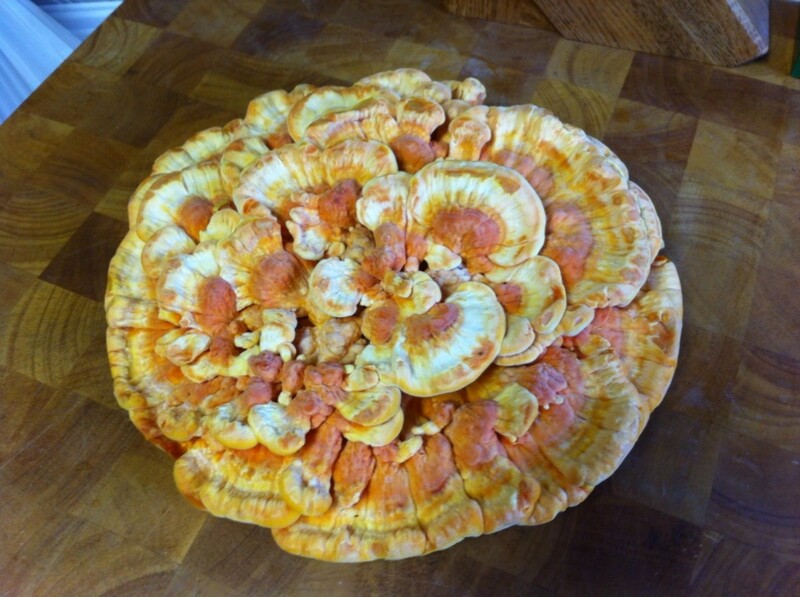 Chicken of the Wood is usually a bright orange on top with yellow high lights and a bright yellow underside. It grows on dead trees and stumps and will form one or more lobes. The lobes, or shelves, can be very large and create an enormous mushroom. This one that my friend found at his parents house in Cane Creek, NC is about 14 inches across. It was growing on top of a stump and formed a near perfect circle comprised of about a dozen individual shelves. Total weight estimated at 5ish pounds. 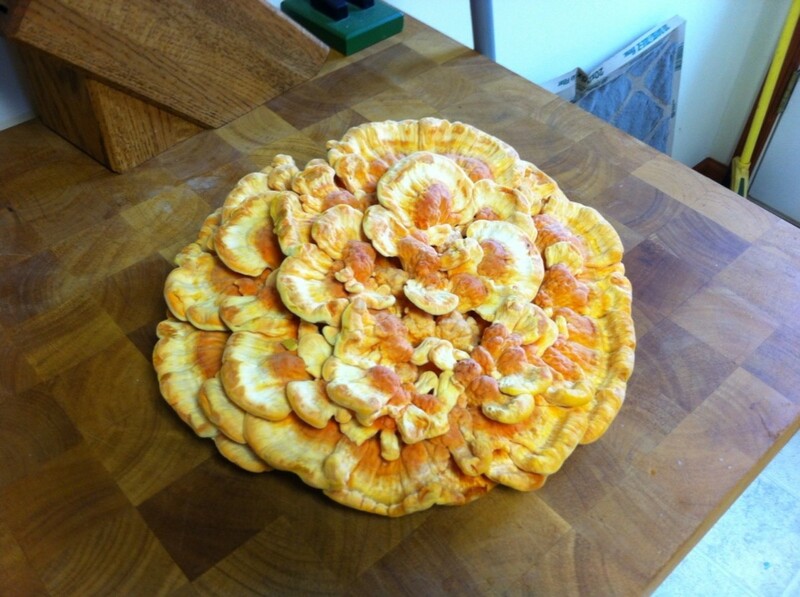 Chicken of the woods is like a beefy version of an oyster mushroom which are also found in the same areas. The mushroom makes a series of shelves or lobes around a central stalk just like an oyster mushroom. The lobes are tightly packed and much larger than an oyster mushroom, about 1 to 2 inches thick with a ruffled edge. There are some regional/locational differences that scientists are classifying as different species. These differences are primarily in the thickness/size of the lobes and the type of fringes. Chicken of the wood mushrooms do not have gills. The undersides a filled with pores. 5 stars from 3 ratings of an enjoyable and informative web page. I have always enjoyed learning about wild food and discovering those foods in nature. This has expanded to sharing that knowledge with friends. It is one more example of my favorite bible quote about feed a man to fish or teach a man to fish. 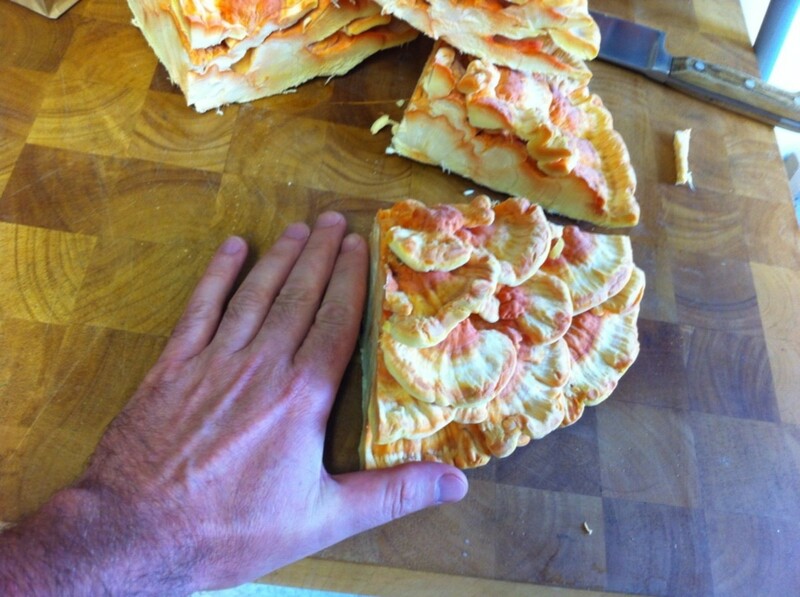 One day when my pals and I were out mountain biking I found a small chicken of the woods. It was cool and neat and everyone was stoked. We passed it around and everyone got a look. While this was happening one of the fellas called out, "hey, is that one over there?". We all went over to look and it was indeed another chicken of the wood and much bigger than the one I found. We left that day with enough for 6 people to take some home and knowledge to find unlimited amounts of mushrooms into the future. My friend, we'll call him Bob, has been finding mushrooms with me for years. He found the one in these pictures at his parents house on a fresh tree stump. It is very important to fully cook mushrooms before eating, especially wild ones. Mushrooms are made of cellulose and are difficult to digest when eaten raw. To put this into perspective cellulose is the same thing as a tree. Fully cooking them helps to break down the cellulose into a more palatable and digestible form. I like to make dishes with chicken of the woods that can be shared. It is rare for me to find this much at one time and I always like to share what I do find. This strudel is a great recipe for sharing because it is so versatile. It can be adjusted to meet a wide variety of flavor profiles, it can be served as a white tablecloth appetizer or as a snack and it can be served hot or cold. The strudel can be sliced thiner to make small hors d'oeuvres size pieces and even used as a cracker or base for a canape. Regardless of your application a nice horseradish sauce is always an enjoyable accompaniment. First, heat about 4 oz of olive oil in a large skillet. I like to use cast iron but you don't have to. To the hot oil add the garlic and mushrooms quickly followed by the mushrooms. Sautee the mushrooms on one side for a while to build some color. 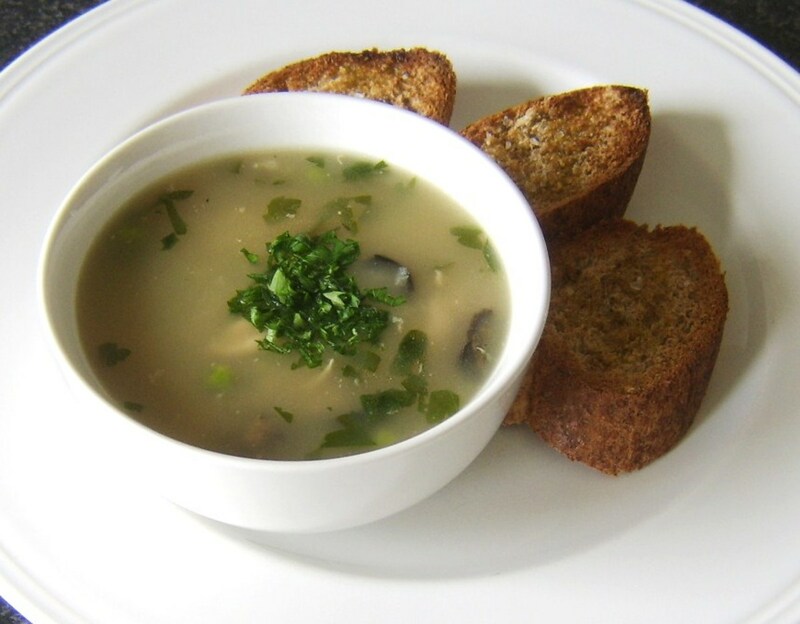 After a few minutes you can begin to stir the mushrooms to make sure they are fully cooked. Once the mushrooms are fully cooked it is time to add the parsley and then deglaze the pan with the wine. Allow the wine to simmer for a bit to burn off the alcohol. Next add the heavy cream and allow to heat. The liquid will likely be absorbed into the mushroom. Season with salt and pepper, then remove to a sheet pan for cooling. Now it is time to prepare your dough. 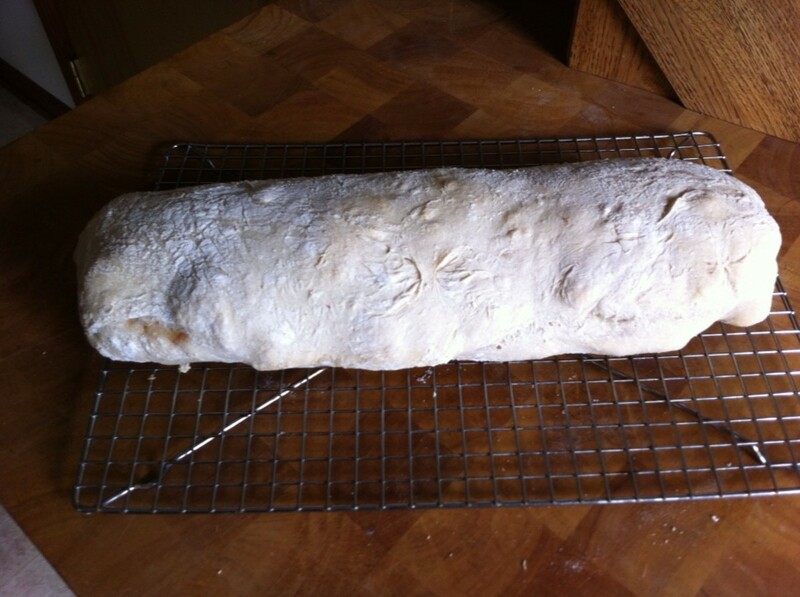 You can either make your own or use a package raw pizza dough or other bread dough you can roll out. Puff pastry or fillo are also good choices for this. 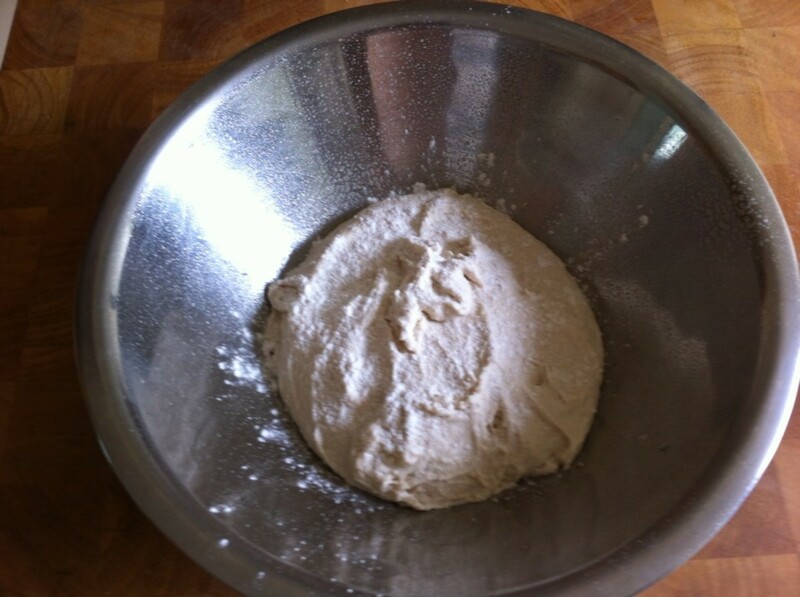 When the dough is rolled out spread the mushroom mixture evenly but leave one edge uncovered. 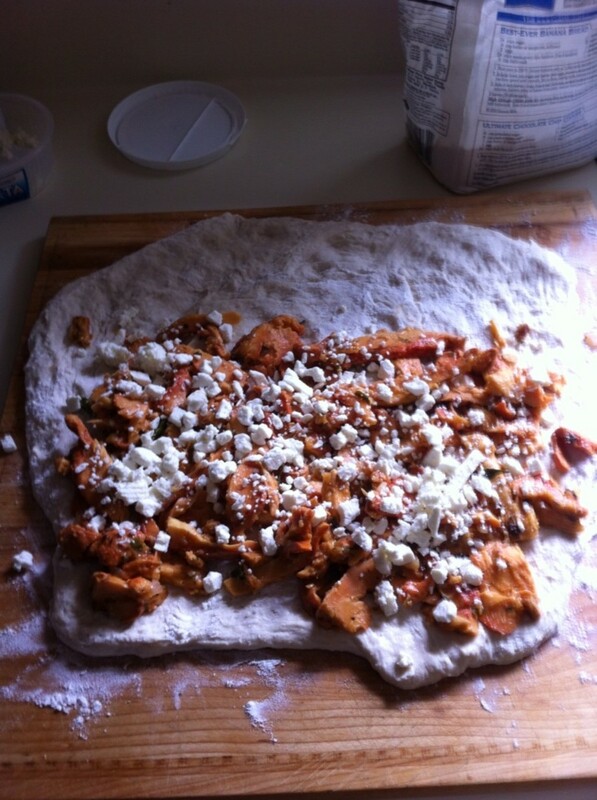 Sprinkle the feta cheese on top of the mushroom mixture. Roll the strudel in the direction from the covered edge to the uncovered edge using the uncovered edge to seal the strudel. Bake at 425F for 30-45 minutes or until golden brown. The top can be brushed with egg wash or butter prior to baking to enhance the color. 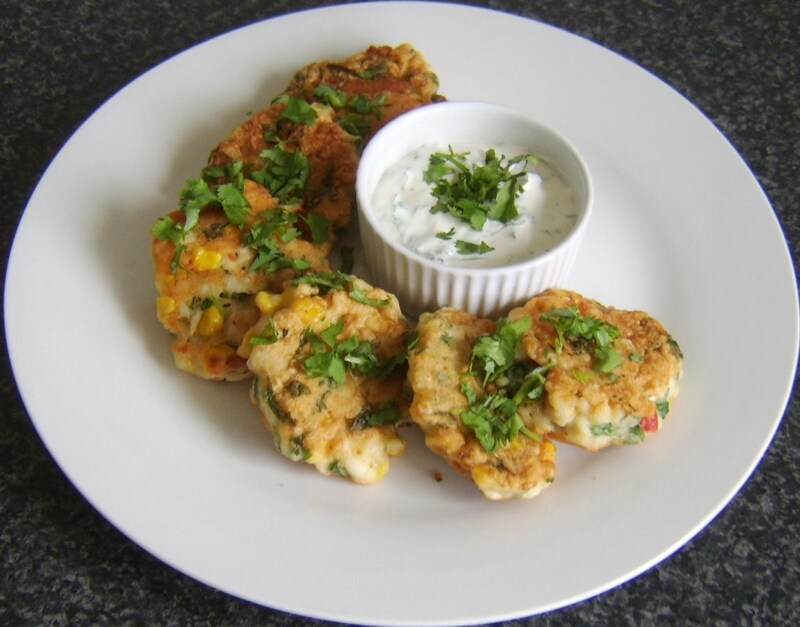 When done allow to cool some then slice and serve with salad or alongside vegetable or grilled meat! I have never heard of this before and I LOVE mushrooms and eat them at least once a day. Great hub, voted up, interesting and useful.